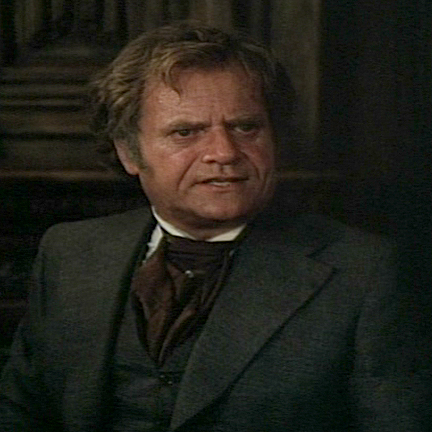 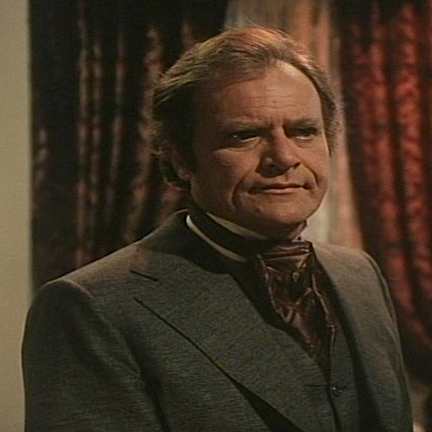 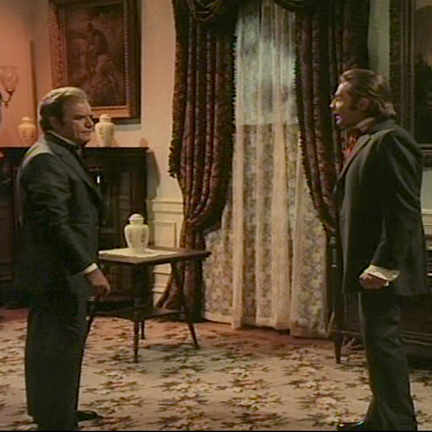 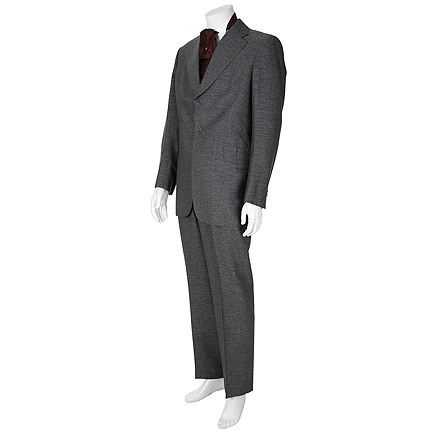 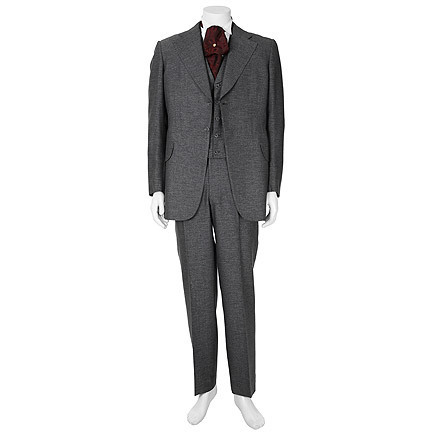 Captains and the Kings (NBC, 1976) Grey and white peppered three piece wool period suit . 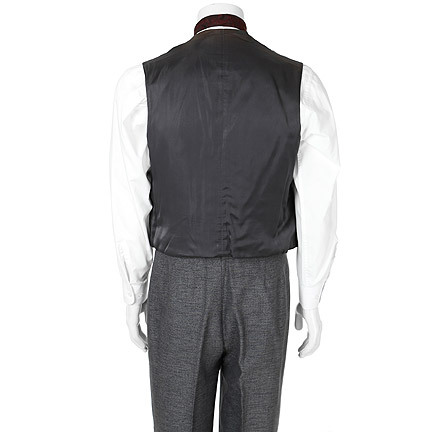 Single breast frock coat with notched lapel, two faux flap pockets, and two button closure. 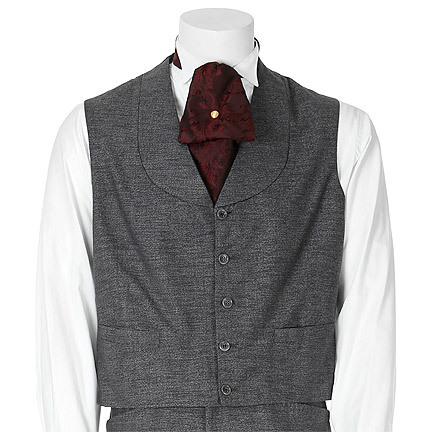 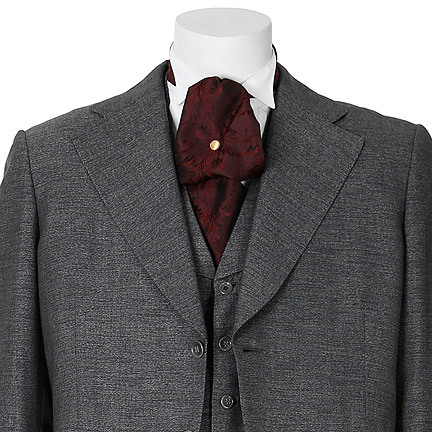 Matching five button vest, two slant pockets and shawl lapel. 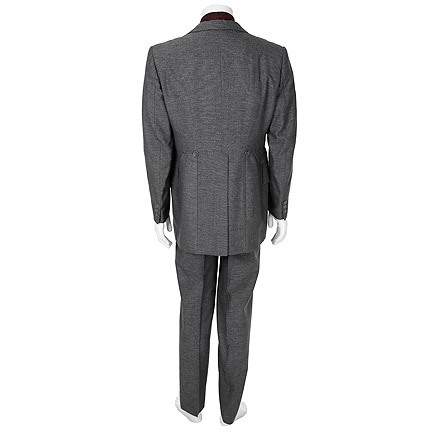 Matching two slant pocket pants, belt loops , zip fly. 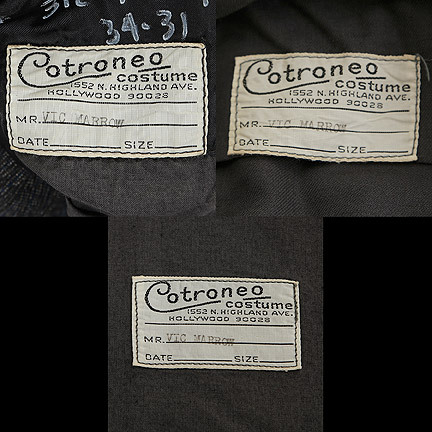 All three pieces have Cotroneo label typed, “VIC MARROW”. 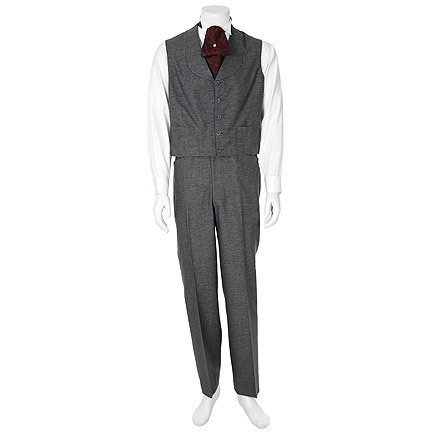 Worn when his wife dies and gets into a heated argument with Richard Jordan “Joseph Armagh” and when he plans to kill Jordan for ruining his career. 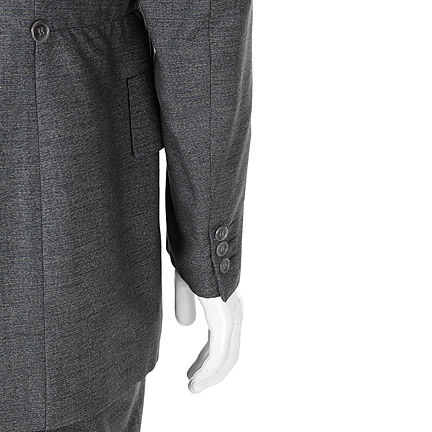 ***SHIRT AND TIE HAVE BEEN ADDED FOR DISPLAY PURPOSES ONLY.